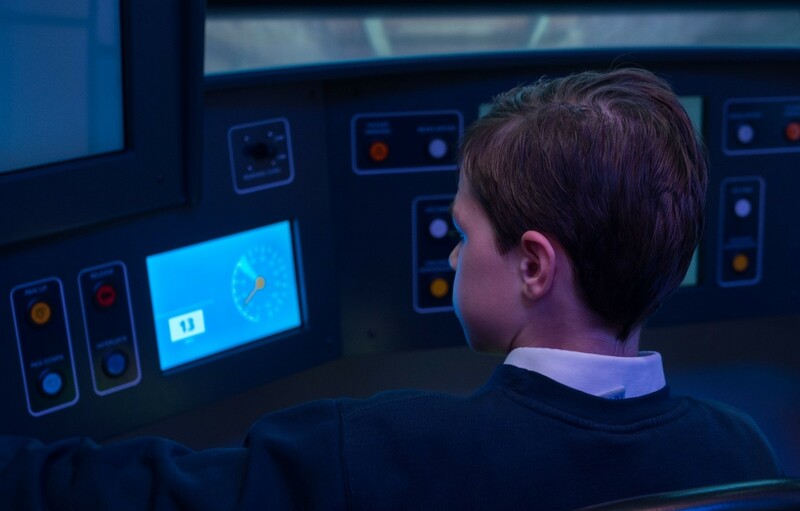 London Transport Museum is always at its quietest before a School’s Early Explorer Morning. There are no visitors yet and all the sounds in the galleries are turned off. Even late in the evening, long after the Museum closes, you can still hear the occasional audio narration echoing from a distant part of the galleries. But just before an Early Explorer Morning, all those sounds are silenced, and with good reason. Our School’s Early Explorer Mornings have been running since 2014 and, three times a year, they provide us with an opportunity to welcome students with a broad range of Special Educational Needs (SEN), including Autistic Spectrum Disorder (ASD), physical, emotional and behavioural needs. For many SEN students high levels of noise, big groups of people and unfamiliar places can be stressful, uncomfortable and unmanageable. This can make many everyday situations difficult to deal with, and a visit to a museum as busy and noisy as the London Transport Museum is practically impossible. By turning off the sounds across the Museum, restricting the number of groups who come and keeping the Museum closed for an extra hour to allow exclusive access for our SEN students, we can combat some potential barriers to visiting. Our latest School’s Early Explorer Morning took place on Friday 16 November. For some of the children visiting as part of school groups, it was an opportunity that remains a rare one; one visiting teacher told us the highlight of the trip was that for her learners, we were “giving them opportunities that otherwise [they] wouldn’t have – including driving/sitting on trains and buses”. As well as offering a quiet introduction to the Museum, we also provided a number of additional flexible and sensory experiences, designed to cater for a range of learning needs and abilities. Explorers were able to explore our All Aboard play zone, meet historic characters, get close to our collection with our object handling team, climb aboard our vehicles and make use of our self-guided sensory explorer bags. On a School’s Early Explorer Morning, the Museum stays at its quietest for a while after opening. As the school groups drift in one by one though, the noise rises – although not to the same pitch as when the Museum is at its busiest – with the excitement of children having the entire Museum to themselves when they may not have the opportunity to visit such places at all. On the 16 November, many of the school groups decided to stay in the Museum after the noises were switched back on, and the Museum opened up to the public and visitors started filtering in. 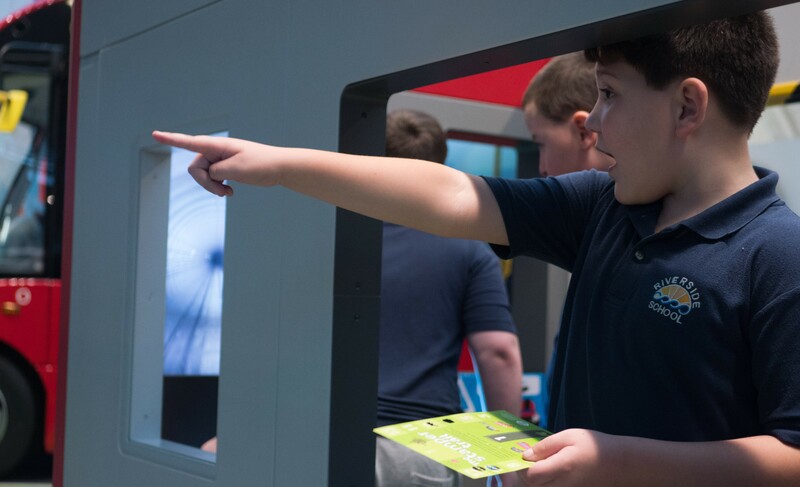 Having become comfortable in the Museum environment, many of the students found that they were more relaxed and more able to be themselves in an occasionally chaotic environment. The Museum aims to ensure all visitors to have an enjoyable and meaningful learning experience. 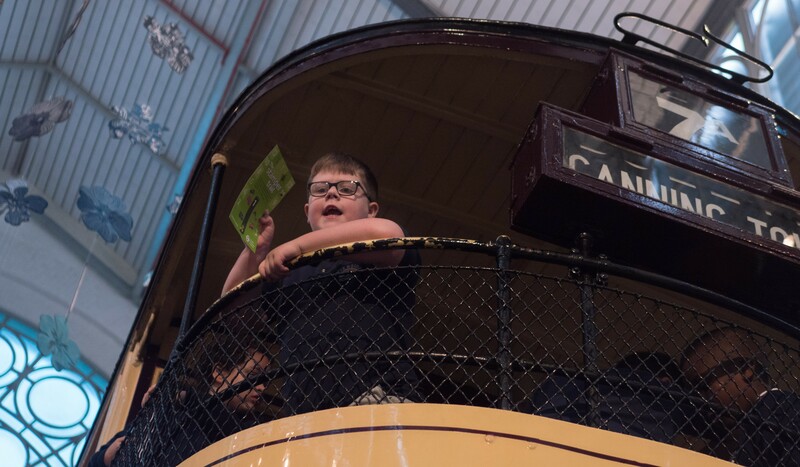 We are committed to making London Transport Museum as accessible as possible for all children, including those with physical and learning difficulties. And happily, on those quiet mornings when we open only for our Early Explorers, we can. Our next School’s Early Explorer morning is on Friday 29 March 2019. The Museum’s Family Programme also delivers Early Explorer Mornings for family visitors. The next one coming up is on Saturday 15 December 2018 from 8.30 until 10.00. In 2019 an Early Explorer Morning or Explorer Evening for families will run every school holiday – dates coming soon. 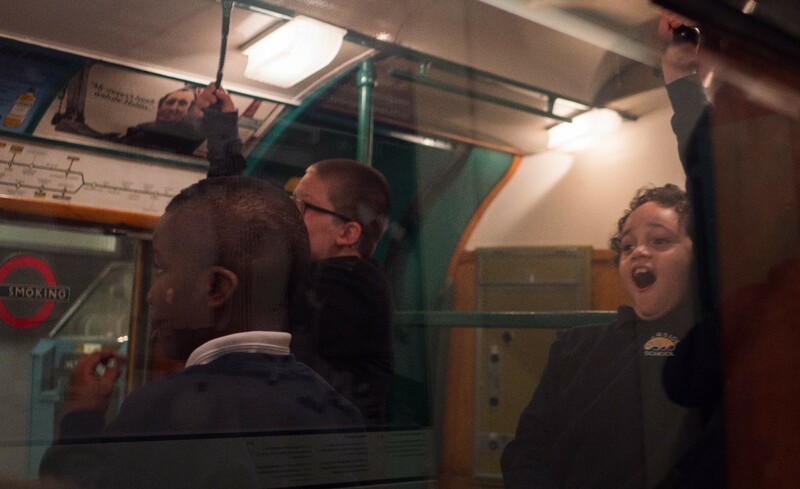 If you would like more information about the School’s and Family’s Early Explorer mornings and other events, please do get in touch with us on learningmailbox@ltmuseum.co.uk.